If you know anything about Sonos, you know that they are known for superior style and sound. The Wrensilva x Sonos Loft Record Console compliments your Sonos gear perfectly. Each one is built to order and combines classic looks with modern technology. 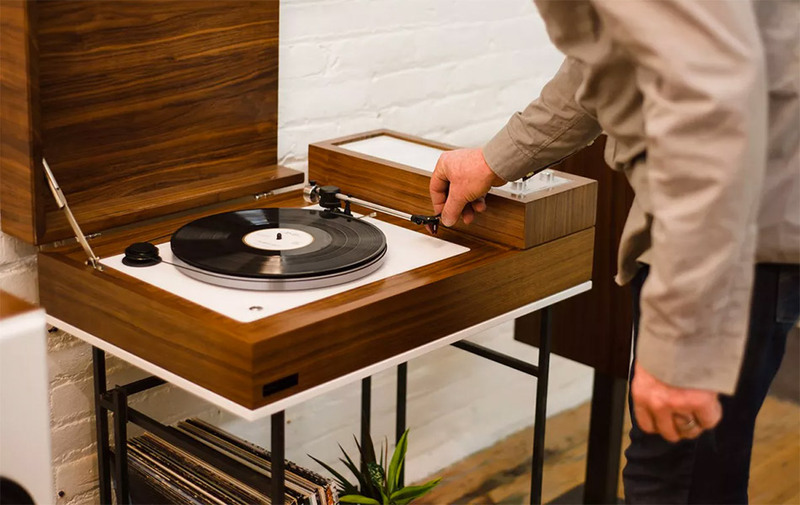 You can stream vinyl to any Sonos speaker in the house, while the analog selector knob gives access to 4 listening modes: Sonos, Vinyl, 3.5 mm Mobile, and RCA Auxiliary. You'll also get a fully decoupled belt-driven turntable with split-plinth construction. This is an audio lover's dream. It is available in Walnut and White or Walnut and Black.